The Pre-Engineered steel structure are designed for resistant to moisture, adverse weather conditions, earthquake, termites & fire that provide you with lifelong durability, safety & very low cost of maintenance. 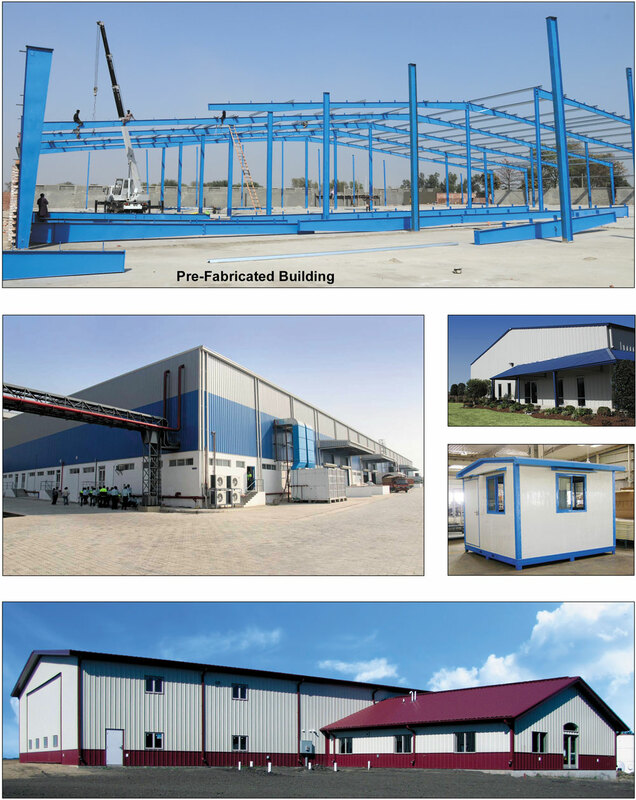 Pre-engineered steel building is a very simple and economical with the necessary Architectural, Engineering & Construction with Pre-engineered steel Buildings. Proposed Roof & wall materials. Nomenclature of Pre-Engineered Building / Metal Building. 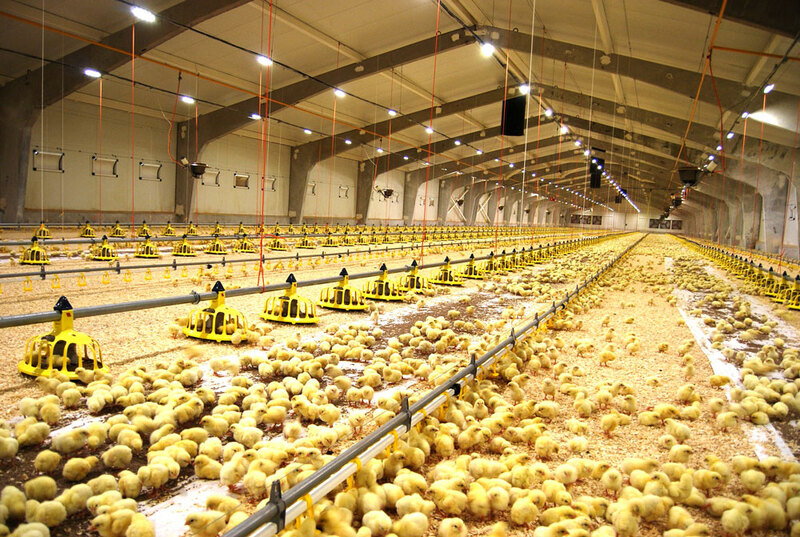 This style of poultry house is widely used for its convenience and low-cost. 2) Easy to assemble and disassemble for several times without damage. 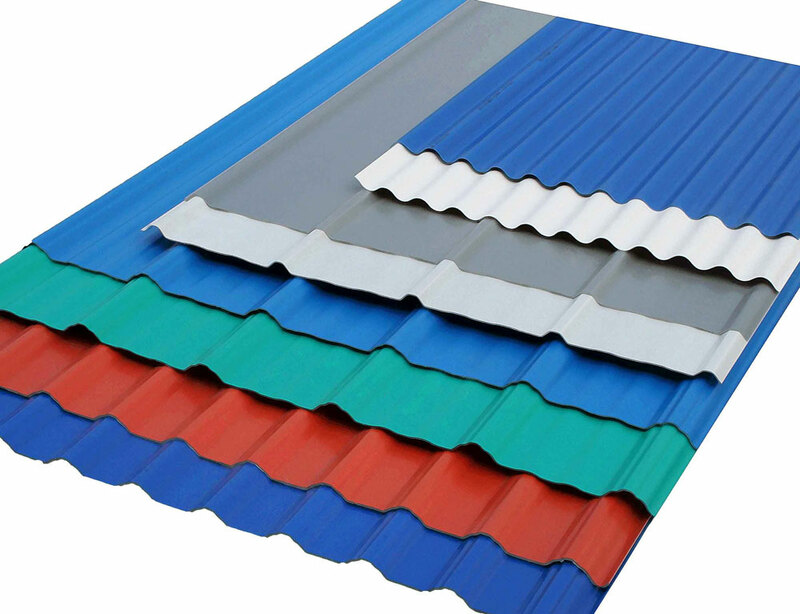 4) The product not only has advantages of rust protection, acid resistance, good insulation performance, but also neat and artistic. 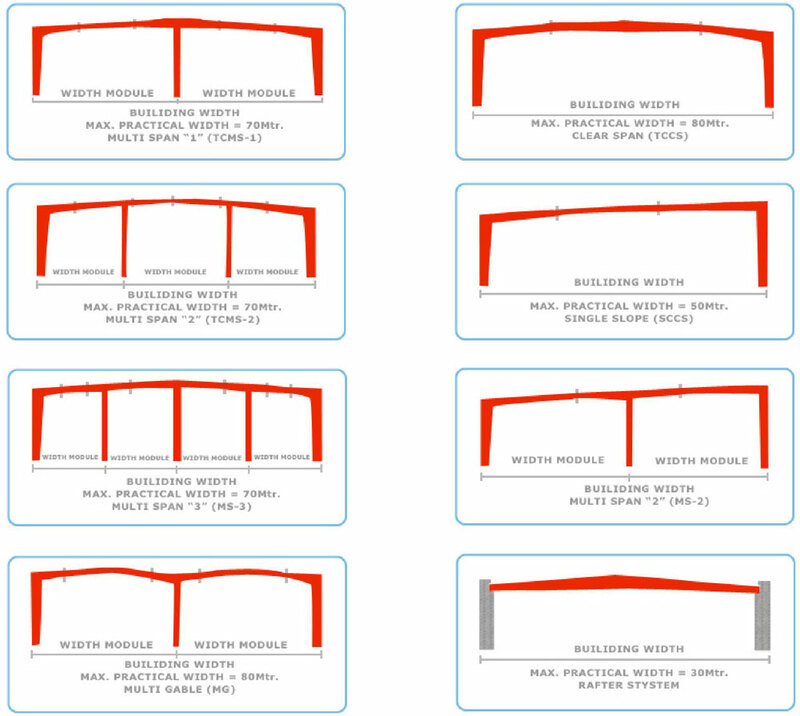 What's more, the steel structure is also famous for its conformation with the principles of physics, easy structure, high efficiency, lower cost, great flexibility, fire and wind protection, lighting and shock protection. Frames of Pre-Engineered Buildings are made from extensive inventory of standard steel plates stocked to the Pre-engineered Building. 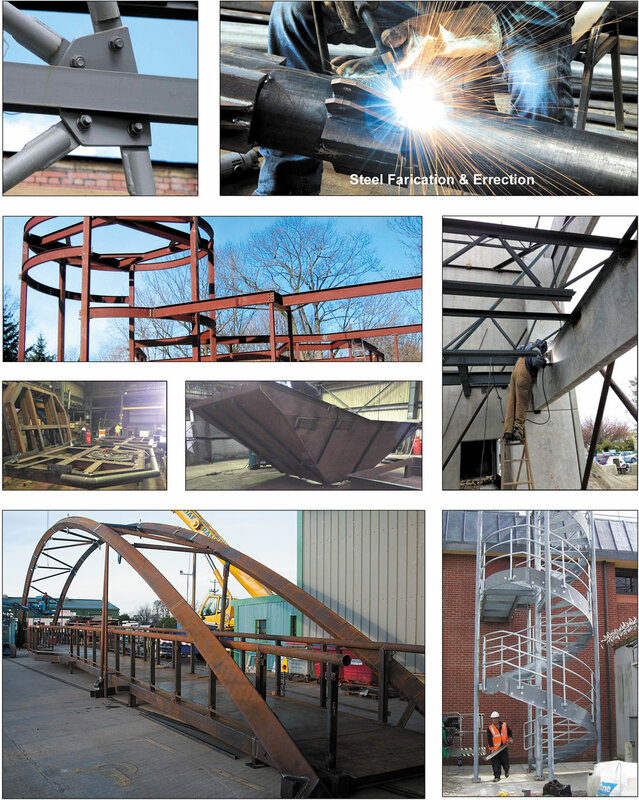 Pre-Engineered Building Frames are normally tapered and often have flanges & web of Variable thickness along the individual Members. The Frame geometry matches the shape of internal stress (Bending Moment) diagram thus optimizing material usage and reducing the total weight of structure, also the entire rigid frame is allow to sway in tolerable limit hence low reaction & moment. RCC rooting save the cost of RCC footing & pedestals. 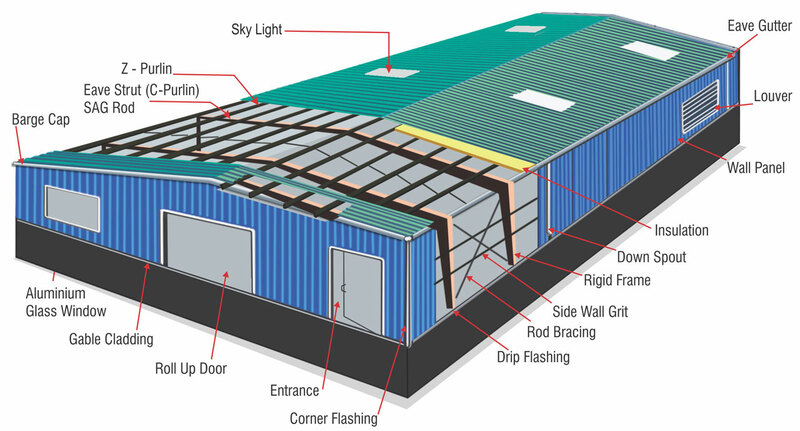 Cladding – sheet of Roof and wall. We offer cost effective aesthetically pleasing roof and wall cladding systems for all industrial use with wide range of roofing and cladding materials used for pre engineering building structures. 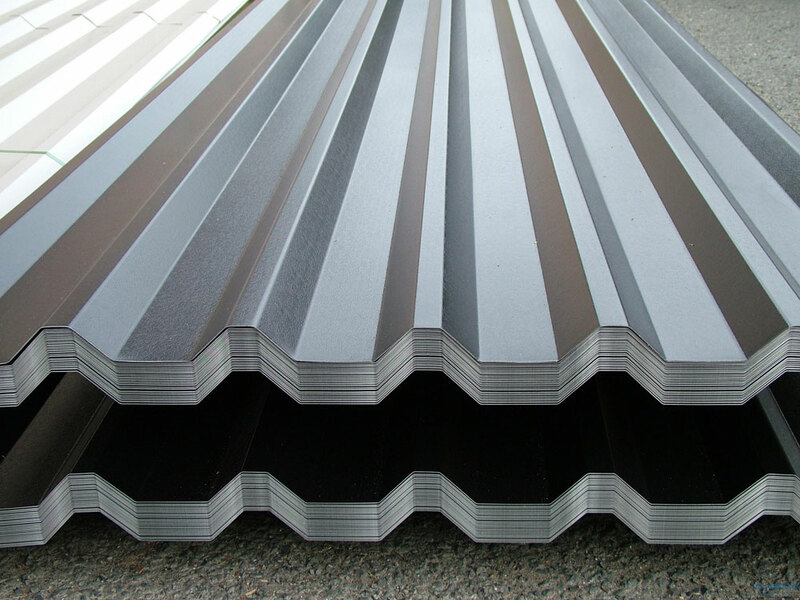 Special Profile Roof and wall cladding is made of high strength pre-coated metal sheets for roof slopes low as 1 in 10. Roof and wall cladding used as internal lines for double skin roof & wall Construction. Roof and wall cladding is the most preferred because of the low maintenance to building construction and low cost. 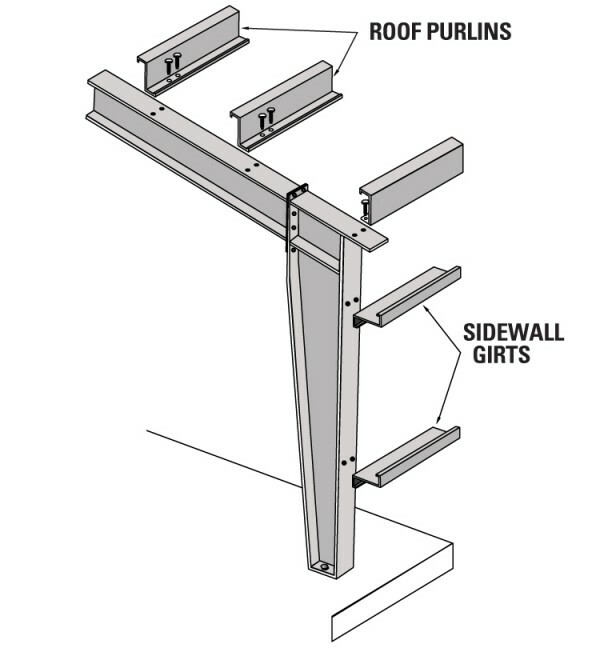 Purling, grits and eave struts are secondary structural members used to support the wall and roof panels. Purling are used on the roof; grits are used on the walls and eave struts are used at the intersection of the sidewall and the roof.